With Easter coming later in the year, it feels like we have more time to prepare. Along with more time to prepare, we have more time to ENJOY! Yes, that's right, all of those early springtime/seasonal snack releases that we look forward to all year, are going to be here just a little bit longer!! Do you know who I am thinking of? You know... Tasty Kakes!! I just sang that, did you? I absolutely love the Tasty Kake brand and they love me enough to send us their holiday goodies. 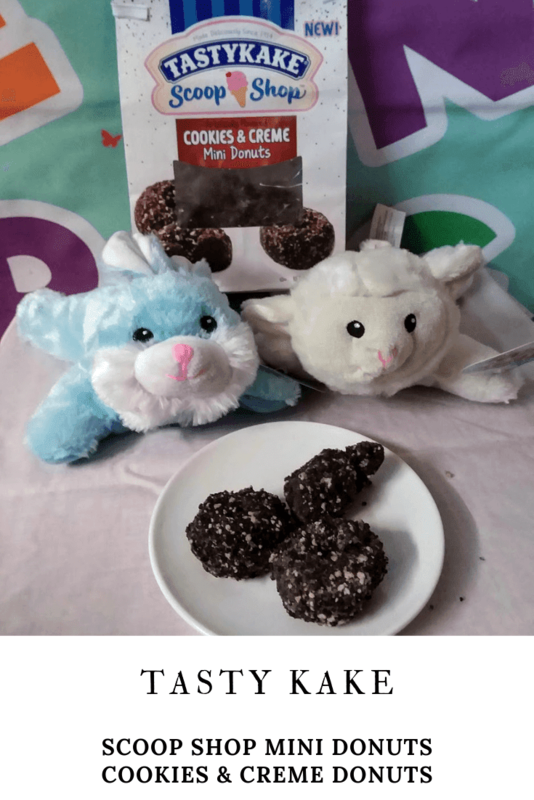 Bunny treats are so good. I have the feeling that the phrase "so good" is going to be in this post a minimum of 50 times for my first draft! 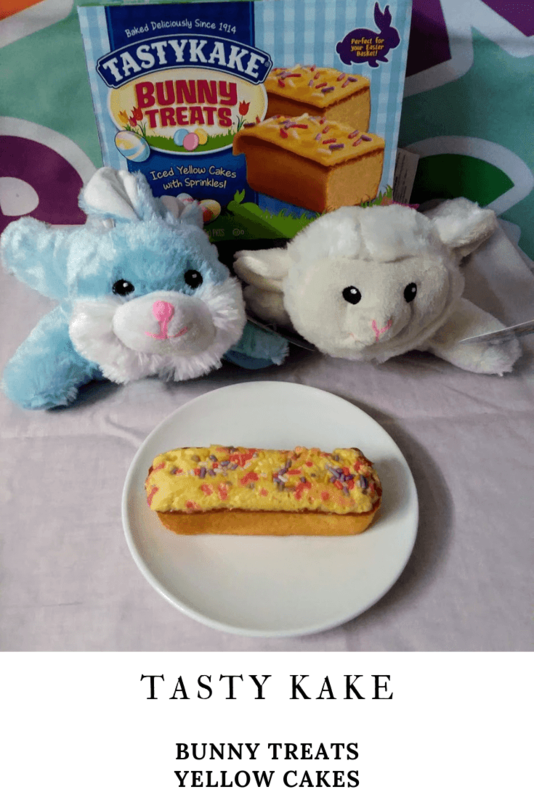 Bunny treats a rectangular yellow cake that is frosted with sprinkles. It's moist and sweet but not too sweet. It's the perfect balance of cake and frosting. 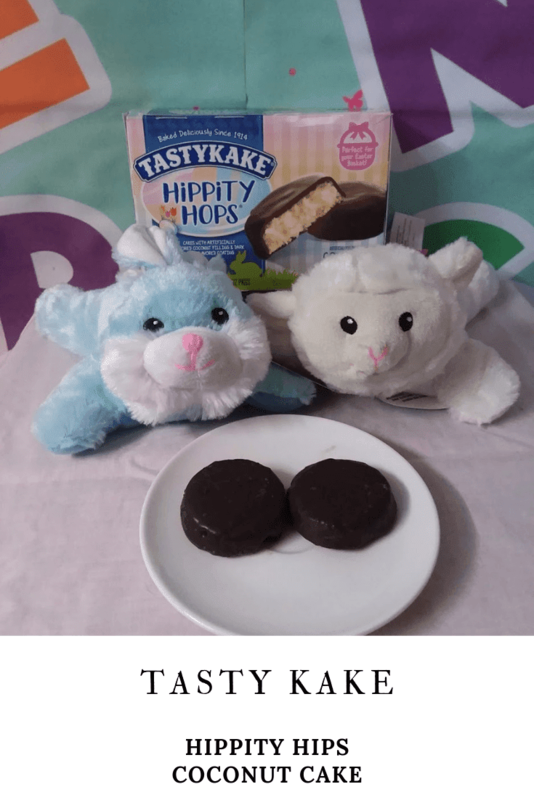 Hippity Hops are a coconut candy cake that tastes so much like a candy bar (that I love by the way) but it's a cake. It's so good!! It's a thin cake with a firm chocolate coating and the delicious coconut flavor is the perfect pair. What to say about these tiny pieces of edible heaven? These are so good they have the flavor of chocolate cookies and creme. I only got a piece of one, Aron and the kids took off with the bag. After the picture session with the bag, it was like, "What Scoop Shop Mini Donuts?". These limited eddition delights have me so excited to see what comes next! I wonder if it will be strawberry or vanilla- yummmmmyyyyyyy!!! The Tasty Tweets are a classic delicious. 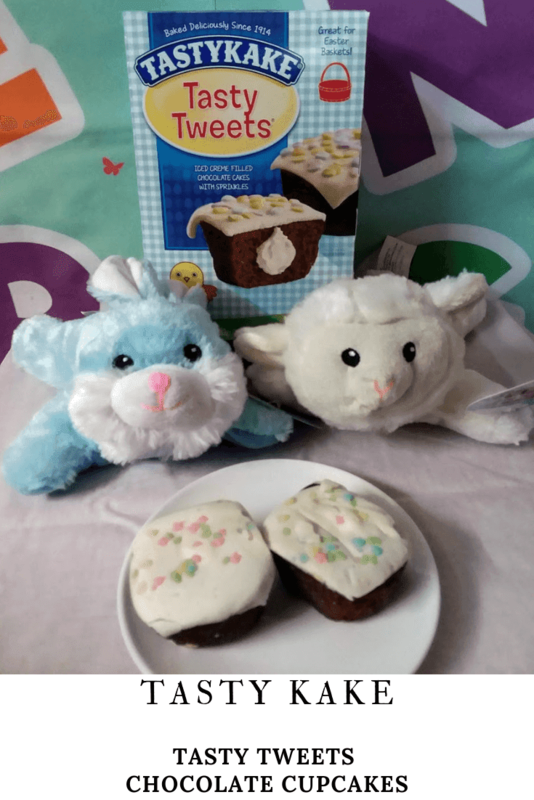 These iced chocolate cupcakes with a cream center and sprinkles on top are a great snack for any time of day. The kids love these for after school snacks. We love Tasky Kakes, what's not to love? They are individually wrapped single-serve snacks that are great on the go, in a lunch box, or a midnight snacks. Not trying to oversell on the likability but, I am a huge fan! I think you will be too! 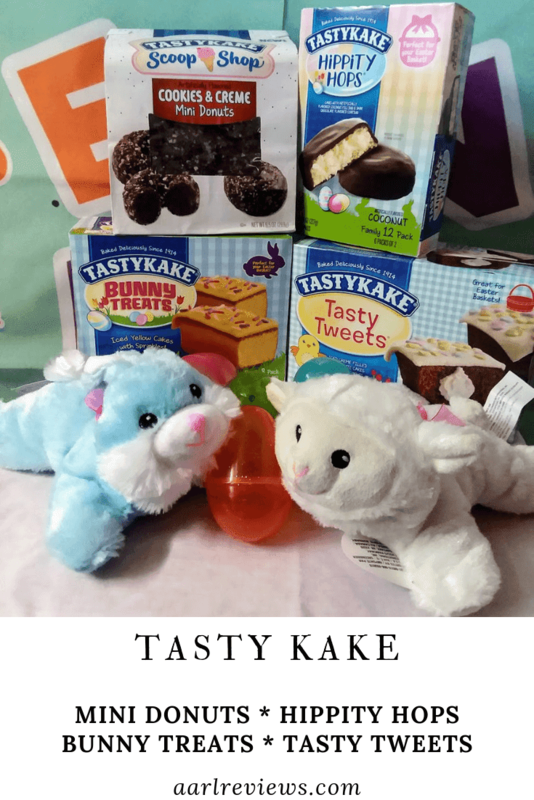 Check them out on the Tasty Kake website or on their social media. I received these products for free to facilitate this review. If you have any questions about these products please feel free to email me directly.